The Vienna NGO Committee on the Status of Women (NGO CSW Vienna), accredited at the United Nations Office in Vienna, was founded in 1982 and works on a voluntary basis on both national and international levels. The Committee is comprised of around 40 international non-governmental organizations (NGOs) with a focus on women’s issues. The Committee’s main purpose is to facilitate the activities of its member organizations in promoting gender equality and the empowerment of women. It acts as a forum for the exchange of information and views on matters of common interest and coordinates the drafting of joint statements to UN agencies and commissions including the UN Commission on the Status of Women. Participate in drafting documents and reports on women’s issues. 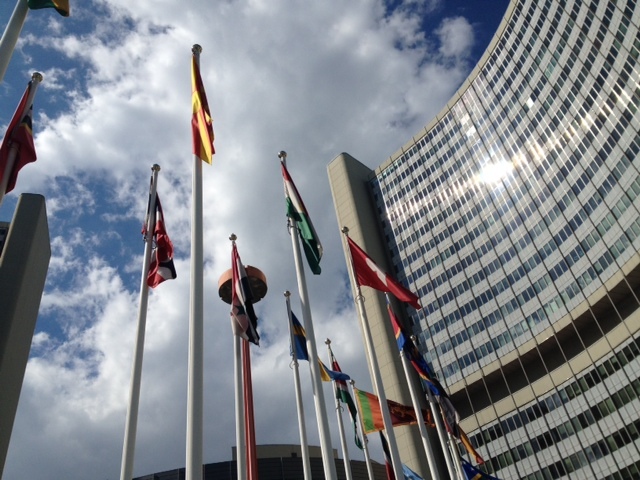 You will find a current list of the organizations represented in the NGO CSW Vienna here. If your organization has consultative status with the UN Economic and Social Council (ECOSOC), and would like to become a member of NGO CSW Vienna, please contact us. We are associated with NGO CSWs in New York (NGO CSW NY) and Geneva (NGO CSW Geneva), the Conference of NGOs in Consultative Relationship with the UN (CoNGO), and with the NGO Committees on Aging, Narcotic Drugs, Peace, and Sustainable Development, and the Alliance of NGOs on Crime Prevention and Criminal Justice. Read a history of NGO CSW Vienna and the Commission on the Status of Women. NGO CSW Vienna was instrumental in the organization of a successful pre-conference Consultation of NGOs to prepare for the 1985 3rd World Conference on Women in Nairobi, Kenya, and in holding of the 1994 Regional NGO Forum leading up to the 1995 NGO Forum at the 4th World Conference on Women in Beijing, China. A mechanism for informal meetings and consultations of NGOs attending the Commission on the Status of Women in Vienna and later in New York was established with colleagues from the NGO Committees on the Status of Women in Geneva and New York. In preparation for the 8th UN Congress on the Prevention of Crime and the Treatment of Offenders in 1988, the issues of fair treatment of women prisoners, alternatives to imprisonment, violence in the family and repatriation of convicts were strongly supported by the Committee. NGO CSW Vienna provided input to the ECE NGO Regional Reviews and Preparatory Meetings in 2004 and 2014, and was involved in reviewing the implementation of the Beijing Platform for Action for Beijing+20 in 2014-2015.